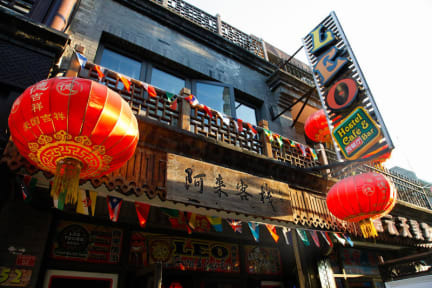 Leo Hostel kohteessa Beijing, Kiina: Varaa nyt! I was really disappointed with this hostel. I chose it for the good ratings, but once arriving I could only stay for one night. Decided to leave for another hostel. Problems: Rooms were dirty and sweaty. There was a hole the size of my head in the wall next to my bed. Didn´´t really feel comfortable in sleeping with the hole with pipes and stuff next to me. Common room was always supercrowded and once again, dirty. Saw cockroaches inside which is not really nice.